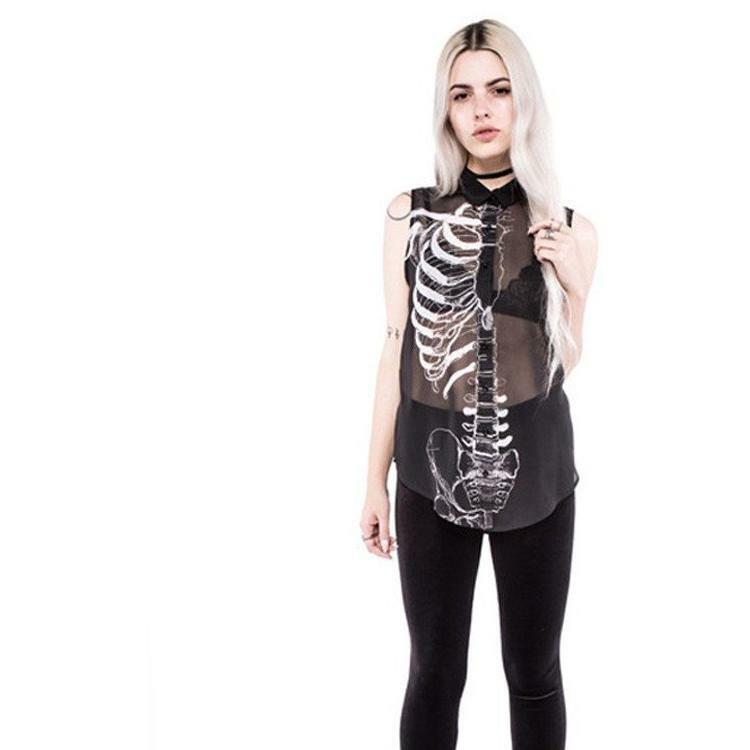 We see straight through you! 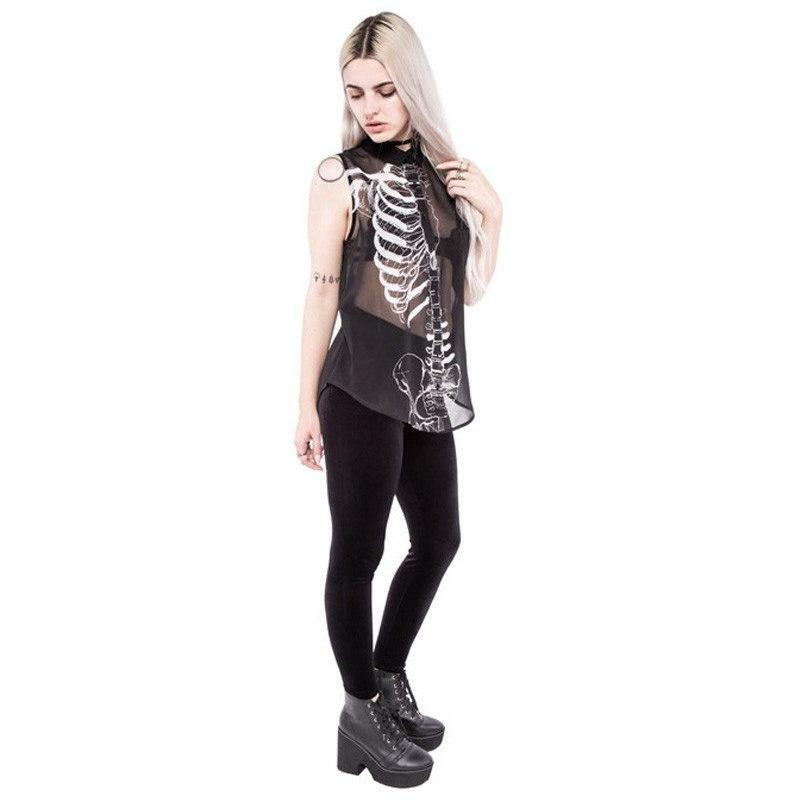 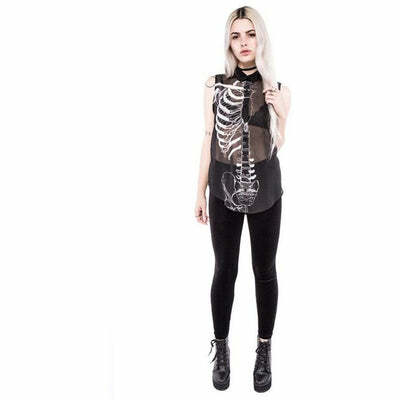 Our Wishbone Tank Blouse is sultry soft with a wicked print showing off your bones. 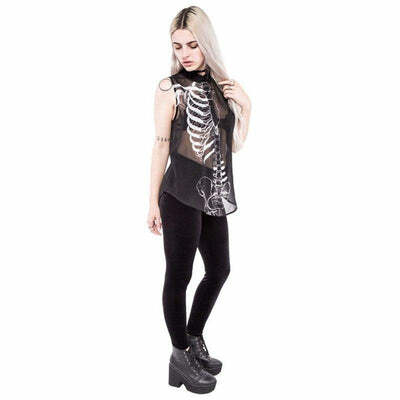 This sleeveless tank blouse has our iconic wishbone skeleton print down the front, a collar detail and button down front.